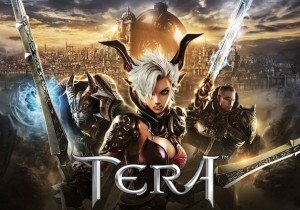 TERA surprised us with news late last evening of a massive expansion hitting today. TERA: Chakra Rising hits us with a new Festival of the Dad event, new classes, and various improvements making this the largest update to ever land. Patch 4.1.15 addresses the recent rise of pudgy players by introducing new fitness related classes, along with the Limber system replacing stamina. This introduces new yoga poses to counteract limber loss, as well as start-up stretches to keep your character one step ahead of a pulled hammy. The Festival of the Dad seeks to reimagine the Island of Dawn as a paradise for all things your dad loves to tell you. Expect to see money growing on trees, NPC dialogue overhauls (and corny jokes to match), special dad costumes, and more. To limit this early boon in gameplay, all parties have been disbanded for players until they reach the level of 18, and don’t even think about not sharing loot just because you’re not partied. For full details, head over to the monumental patch notes on the official site.